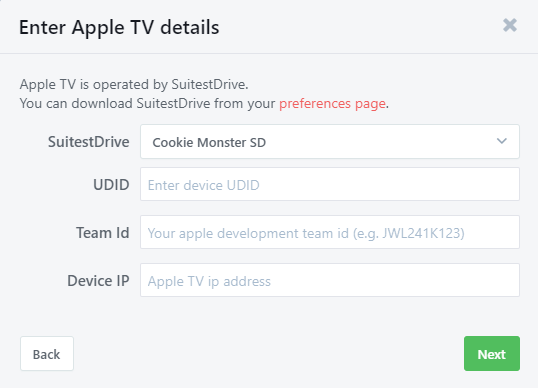 Suitest supports Apple TV devices running tvOS version 11.0 or later. 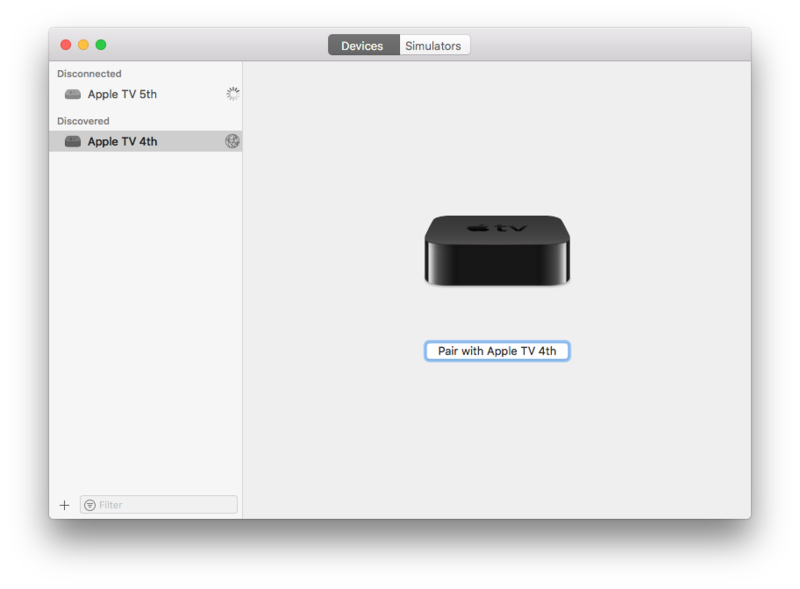 After setting up an Apple TV device you will be able to run automated end-to-end tests on Apple TV native apps. Apple TV devices are operated by SuitestDrive. Before adding Apple TV device to your Suitest account, you need to pair your SuitestDrive with your Suitest organization. To successfully add your Apple TV device you will need to have administration rights for the Mac host (the one running SuitestDrive and Xcode). If you do not have these rights you will have to contact your friendly system administrator to obtain them. To add the device to Suitest a couple of settings in the devices system will have to be changed. Navigate to Settings > Developer then switch on Enable UI Automation. Navigate to Settings > General > Sleep After in the pop-up change the option from 10 hours to never. SuitestDrive relies on Xcode CLI tools to communicate with the Apple TV. Download the latest Xcode from the Apple developer website and install Xcode on your Mac. Once you have Xcode and SuitestDrive set up on your Mac, you can proceed with pairing your Xcode with the Apple TV. Suitest supports 4th generation Apple TV's and newer, if you are unsure about the generation of your Apple TV refer to Identify your Apple TV model. The 4th gen Apple TV can connect to your Mac via USB-C while the Apple TV 4K has to pair via network (WiFi or Ethernet). The Xcode Mac host and the Apple TV need to be located on the same network to allow pairing. If you are pairing via network then open Settings > Remotes and Devices > Remote App and Devices on the Apple TV and leave it at this page. Ignore this step if you are connected via USB. Next, on your Xcode host, open Xcode > Window > Devices and Simulators or press [SHIFT] + [CMD] + 2. Your Apple TV should be displayed in the discovered section, select it and press Pair. 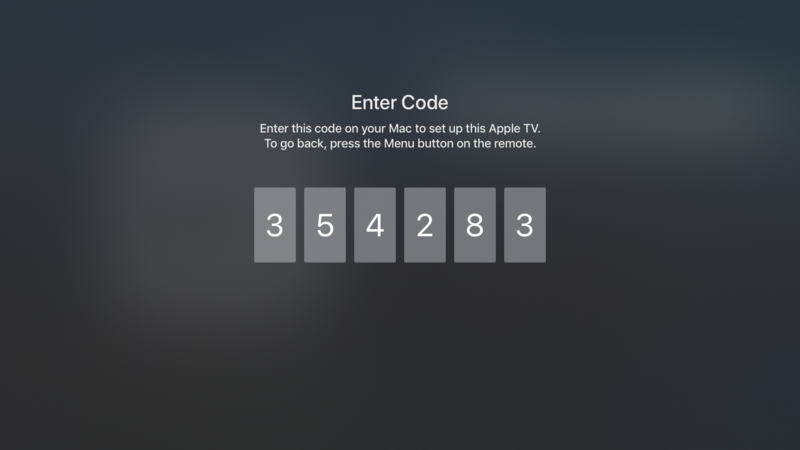 For verification purposes the Apple TV will display a 6 digit code. Enter the code into Xcode and wait for the connection to be established. Please be patient, this process can take a few minutes. To be sure that the device is connected correctly, open your Terminal and type instruments -s. If you see the Apple TV in the output list the pairing has been successful. Login into Xcode, to avoid code singing issue later on. 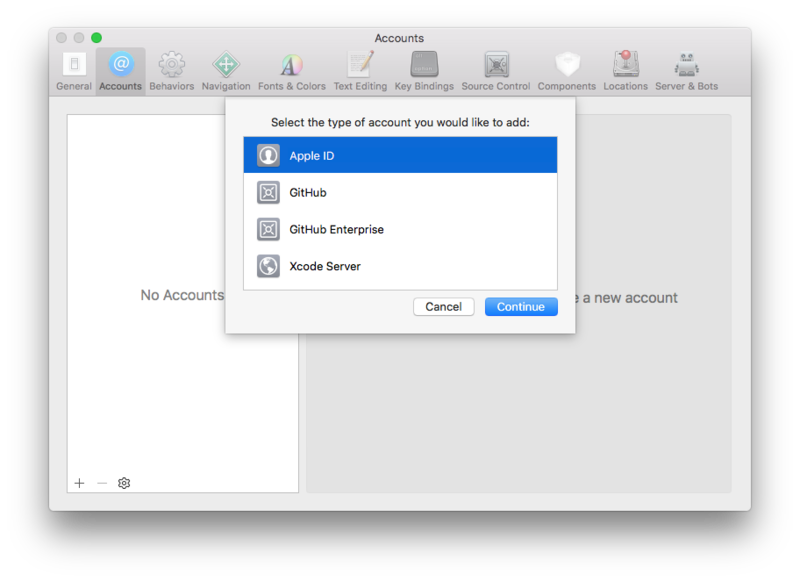 In Xcode navigate to Settings > Account then login with your developer account. Add new account - by pressing "+"
Open the Device wizard, select Add physical device, choose Apple TV from the platform list and then press Next. UDID - The unique identifier of this Apple TV device. If you don't know the UDID then open Xcode and navigate to Window > Devices and Simulators. From the connected section choose the device you are adding. The UDID is listed as Identifier. Team Id - The Apple membership Team Id. Can be found in your Apple Developer account under Membership. Fill in all the fields and press Next. Now all dependencies will be installed by SuitestDrive, please be patient. Suitest will then verify that it can connect to your device. After verification the Apple TV device will become available in your Suitest account. 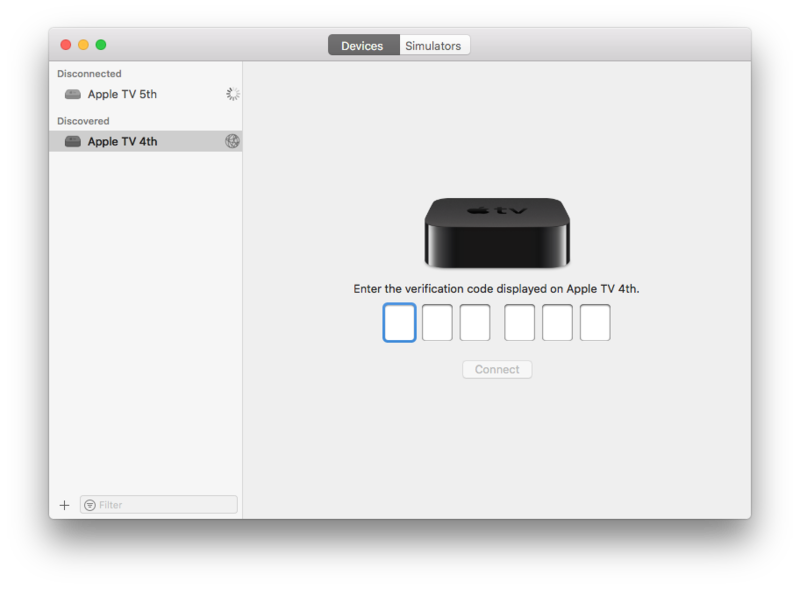 Now that you have your Apple TV device configured, it's time to instrument your app and start testing. Please check the Apple TV troubleshooting section for guidance.